Scientists from the Department of Earth and Environmental Science Rutgers University Newark and MERI scientists were trained by German engineers in the use of their new state- of-the- art Nordmeyer GEOTOOL . 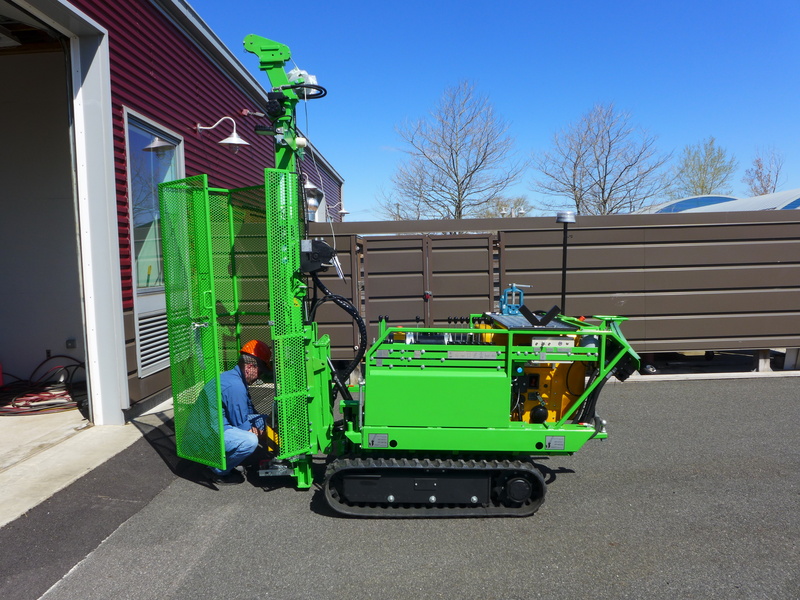 The Geotool is a precision drilling machine that will be used in near surface geophysical research to develop methods and technology to monitor the movement of contaminates underground and to monitor salt water intrusions into fresh groundwater reservoirs among many others. The Geotool can be configured in three ways: 1.- Soil dynamic probing for geotechnical investigations, 2.- Deep soil and sediment stratigraphic sampling and 3.- Deep hole drilling for wells and sensor deployment .